I can't remember a time without Microwaves, it's a little like how Tops and BB don't know life without the internet. My Nan could blow their little minds, by explaining how she is older than not only the internet, but Microwaves as well. The thing about Microwaves, in my humble experience that is, is that you often need a degree in order to work out how to do anything. The number of times I've overcooked something, or caused something to explode all over the inside of the microwave is too numerous to mention. 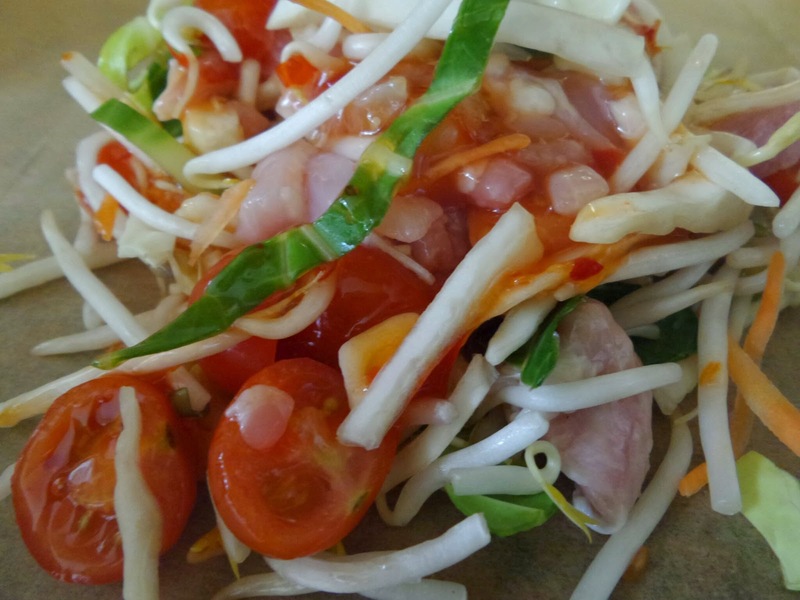 The one thing that always bothers me however is when I defrost meat in the microwave, particularly Chicken Breasts, as you always seem to find the edges of the breasts have started to cook, and have the tell tale signs of being white instead of pink. 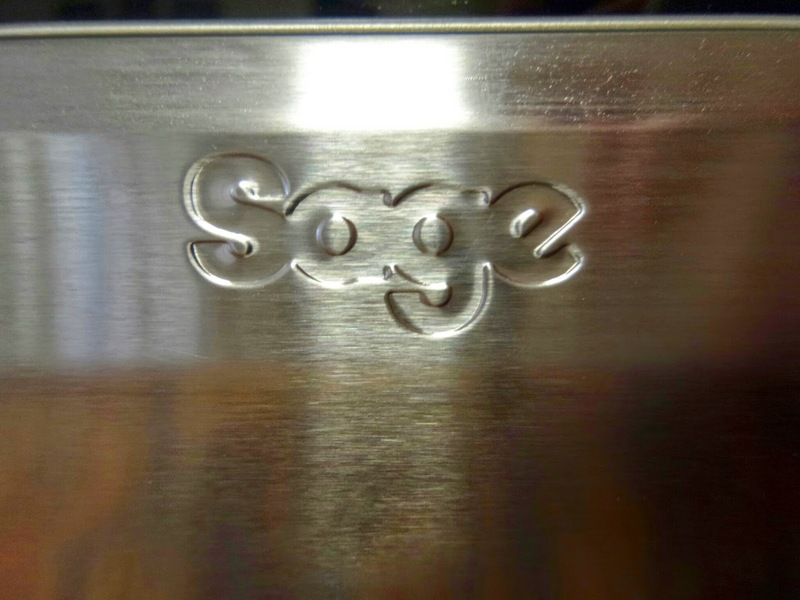 I was most interested to find out that I wasn't the only one who thought this way and was asked if I'd like to try out the Sage One Touch Microwave by Heston Blumenthal, which has been designed to change the way we cook with Microwaves. 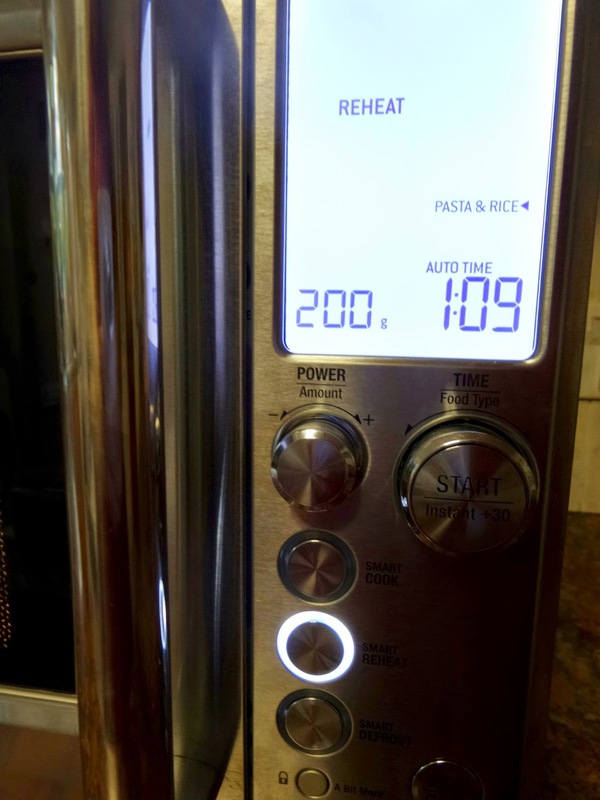 At first I was sceptical, but the more I read up on the Sensor IQ tech that it was using that measures the humidity released from the food as it cooks and calculates the perfect cooking time, the more I was intrigued. 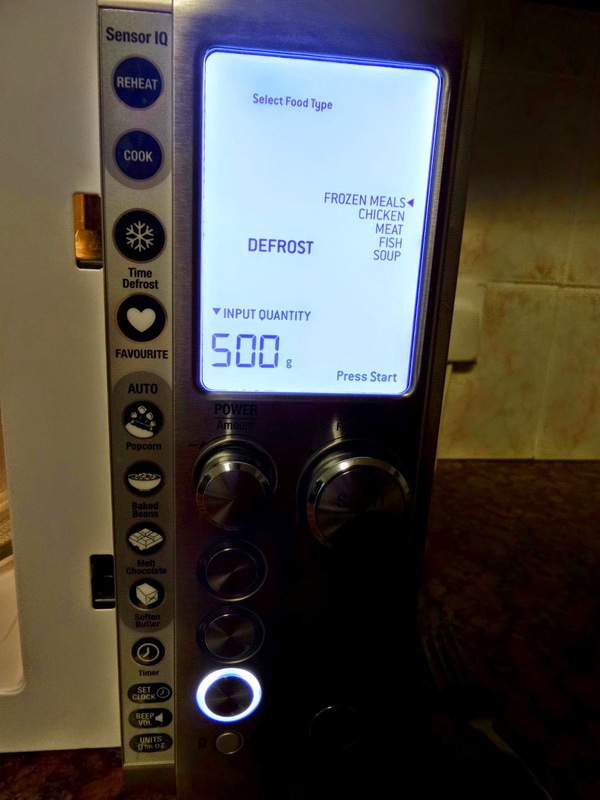 This microwave also has one touch buttons allowing favourite settings and common tasks (particularly in my kitchen) such as melting chocolate, softening butter (have you noticed that butter left out on the side in the late Autumn/Winter is just as hard as if you'd left it in the fridge?!) and reheating baked beans. I guess the way I use a Microwave isn't that different to most of the UK! 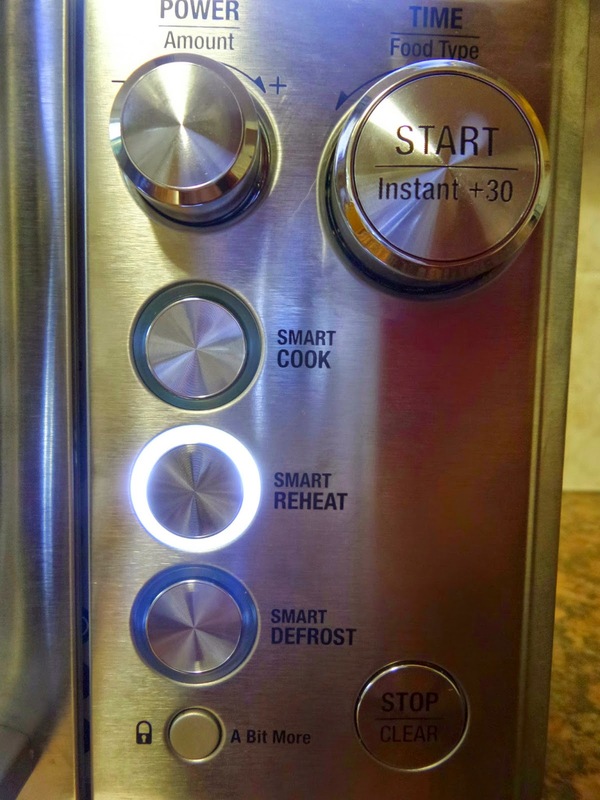 Do you use your microwave for roughly the same things? I do have some top tips for cooking and using a microwave that my Nan has passed down to me, I think she got them out of her first (and only) Microwave Cookbook, the only thing I ever remember seeing in there was Duck A L'orange however. First of all use a cover to prevent food splattering all over the inside of the microwave. A this means it's easier to clean the Microwave and B it's better for the food as the moisture stays in the food. Yes I know I said the Sage One Touch needs the moisture to work out how long to cook for, but use one of the covers that allows the steam to escape! 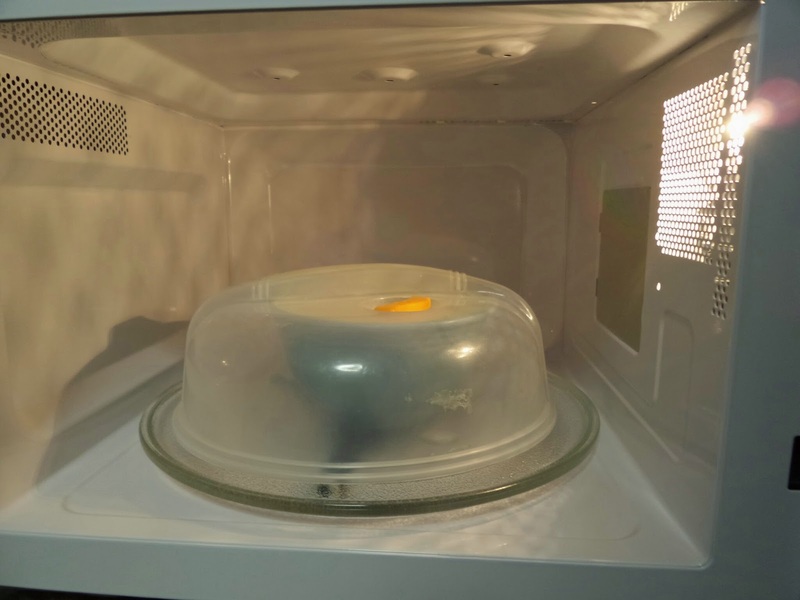 And lastly, if you are going to clean the microwave and you've not paid attention to the first tip, then heat a bowl of water and lemon or water and vinegar in the microwave (about four or five minutes works best). The steam from the water will loosen all the horrible stains in the microwave and allow you to remove it more easily. I personally like to use the lemon, as I think it makes it Microwave smell nice! So after the Microwave arrived, the first thing I used it for was to heat up some rice and veggies that had been leftover from a Curry Daddy had made. 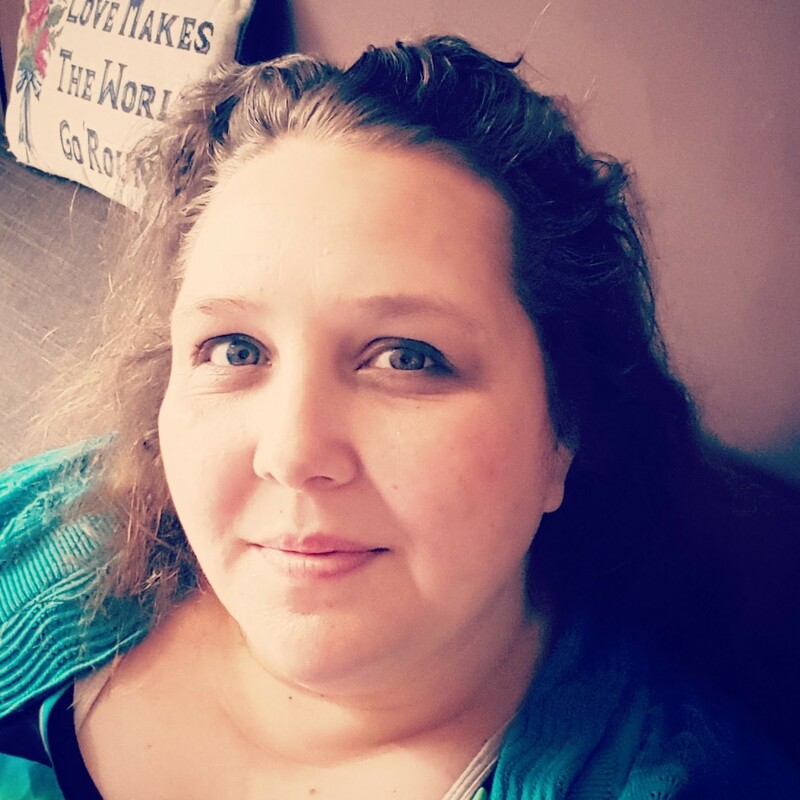 I chose that I wanted to reheat my food, I chose what kind of food it was and I entered in the weight. The microwave then worked out what it needed to do and well did it. I loved it, the food was heated through nicely, it wasn't dried out, it wasn't under or over cooked and basically it was a good lunch. I've tried out all the different functions since that first reheat. I've defrosted food, I've reheated more food, I've cooked various foods. 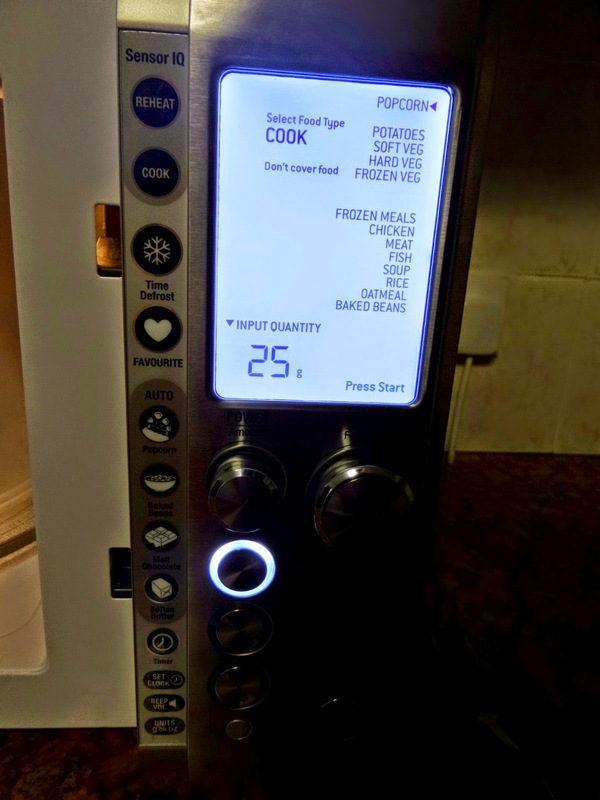 I've used the buttons on the inside of the door to reheat Baked Beans, Melt Chocolate and soften butter and even pop popcorn! The best thing I did was when finding my honey had crystallized in the cupboard, I threw it in the microwave at reduced heat for a couple of minutes and soon had perfect runny honey again! 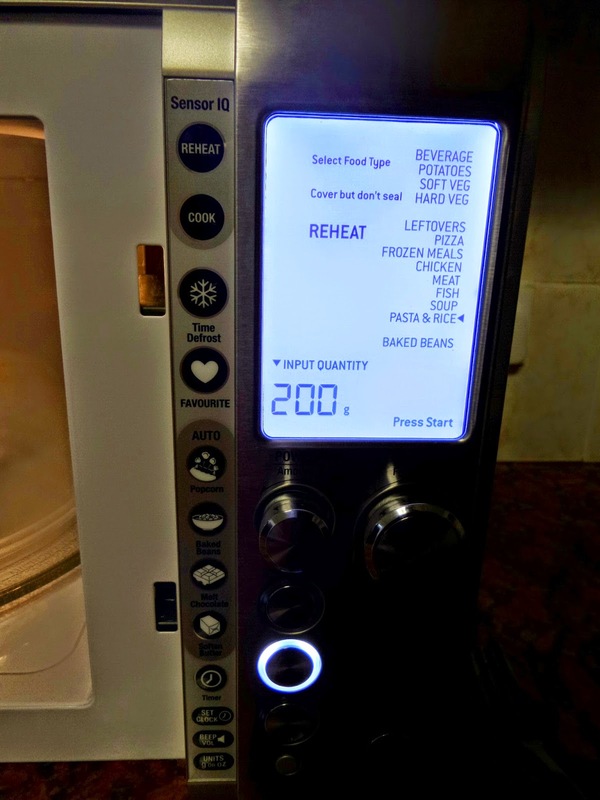 Yes, Microwaves can be used for cooking microwave meals but they are one of the most overlooked appliances when it comes to creating delicious food, I mean we've all wanted a cake in a mug or a microwave cookie before now right? 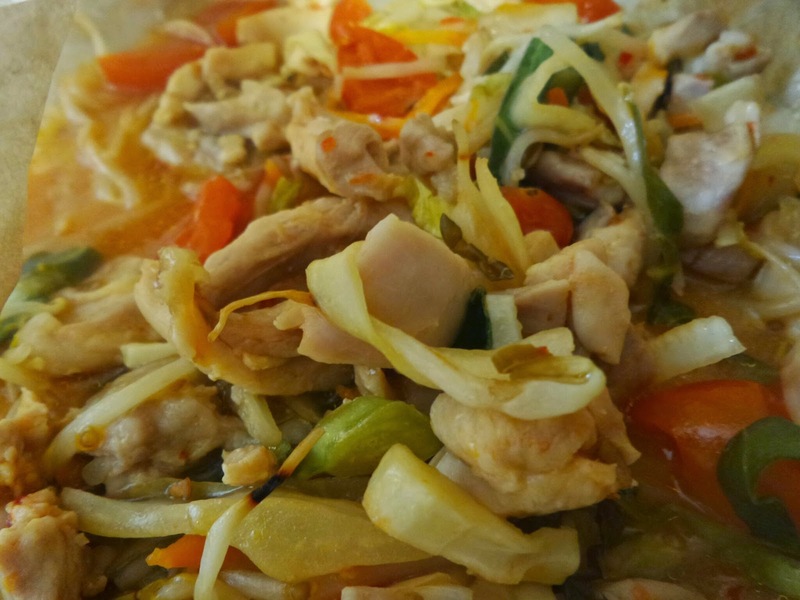 Well, it doesn't have to just be sweet treats in a hurry, how about a main meal of Chicken and noodles cooked in the Microwave? Well, it's one of my favourite meals and is all done in the Microwave, so I thought I'd see how the One Touch handled it. Quite marvellously if truth be told. 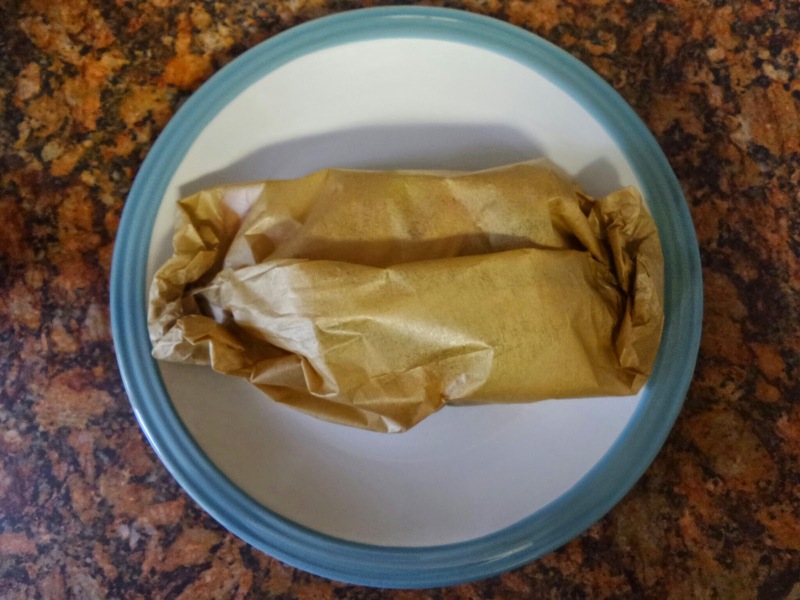 What I normally do, is throw the Chicken, Noodles and Veg into one of four or five paper bags I've made, after having mixed them all together in a bowl with a sauce, either of my making or from the Supermarket. I then throw one of the bags into the Microwave for five minutes and when it's finished cooking, it's normally ready to serve. When I put it into the One Touch, I asked it to cook the bag and said it was to use it's sensor to cook the food. The meal was cooked perfectly and the children agreed, saying that it was one of the nicest fake aways they'd had in a while. Now, I'll just have to come up with some other ideas (Do you have any suggestions?) or I could just borrow my Nan's Microwave cookbook! 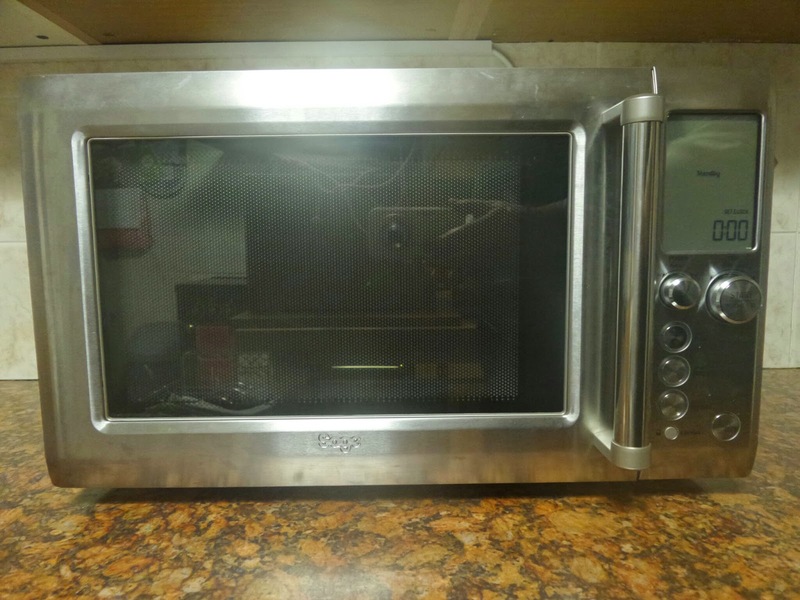 We were sent the Microwave to review.